SEASON 4 at SteamCon USA!!?? Your support so far for SteamCon US has been monumental, and we’re back to talk to you more about it right now! We’re on track to have an enormous SteamCon US for 2018 that truly dwarfs the 2017 event. And today we have some incredibly exciting news to share with you all! The initial rush for SteamCon tickets has been immense! So far we’ve had well over 200 Early Bird tickets bought for SteamCon UK 2018. If you haven’t bought your ticket yet, you need to move fast as the Early Bird period closes tomorrow at 12noon! Tickets for SteamCon UK 2018 can be found right HERE! Today, we’ll be revealing the initial schedule of events for SteamCon UK 2018 so everyone can start planning their SteamCon UK weekends. Kicking things off on Friday, we will be opening the doors at 8am with the first two hours purely dedicated to getting everyone inside so that you can head straight to the retailer room and pick up the latest releases from Steamforged Games and our friends. It can often be a struggle finding time between events and seminars to go and buy your brand-new miniatures and accessories, which is why we don’t start any of our events until 10am on both Friday and Saturday. As soon as you’ve done all your shopping, you can head over to our open play spaces and start playing your favourite games! Saturday starts off in much the same fashion as Friday, the stores and open gaming all open at 8am and no events or seminars will begin until 10am. Sunday starts quite early, since SteamCon tends to close down around 4pm, so we need to start things off a little earlier in the day to ensure we have time to fit it all in. The shops will be open from 8am once again, however, on Sunday our events also start at 8am. For any of you that don’t already know, we are fortunate enough to work with the amazingly talented Angel Giraldez, who is simply one of the best painters in the world right now. 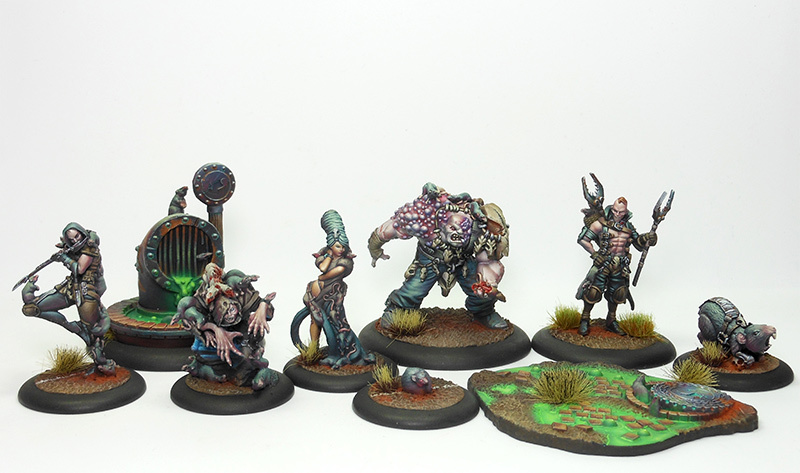 You can see some of his finest work below on our Guild Ball models, and I mean, wow. As you can see, there’s something for everyone there, from helping get the greenness of orc flesh the exact perfect shade, to how to paint human faces, which let’s be honest, is always one of the hardest bits when you’re finishing off a model! As an EXTRA SPECIAL TREAT, if you buy ANYTHING from our booth throughout the day of Salute, anything at all, you can register your email and you’ll get a raffle ticket to win all of the models Angel has worked on through the day. So not only can you come and bask in the warm, almost too beautiful glow of Angel’s talent, you also have a chance to take those models home with you where you can put them on a shelf and never use them out of the fear of scratching them! Or hey, we’re not gonna tell you what to do, you feel free to use those gorgeously pretty models in your day to day gaming and be a big brave soul cause that’s just how you roll. So there we have it, Angel will be at our booth all day at Salute on Saturday, painting, showing off his techniques, and in the end, if you buy anything from us, you could even win those beautiful models to take home with you. It’s pretty awesome! Come see us at booth TD13 and say hey! 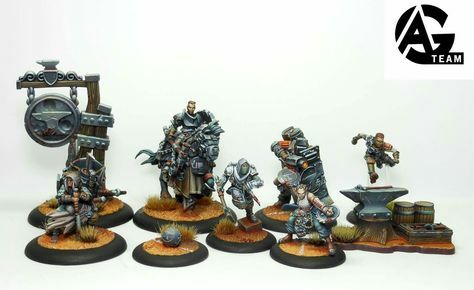 You’ll also be able to see all the models we have to show off for Godtear and back the game on Kickstarter if you haven’t already! Go have a look at the KS page to whet your appetite in the meantime.